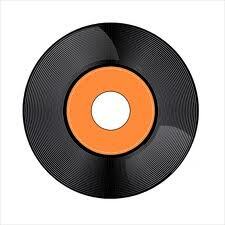 When we were young we went to my aunts home and in the rec room they had a record player they let us use and we could play our little vinyl 45’s to our hearts content and keep ourselves entertained. Through the years (decades) my musical taste shall I say never improved much. The radio/Sirius XM are my source for one hit wonders. awesome tunes. My personal musical taste is pretty limited. And somewhat black and white. Not a huge fan of country music, not a fan of musicals except for a few songs, not a fan of any particular artist over time like my husbands love of James Taylor tunes. I do like some Rap music ( Eminem), some classics ( Beatles), some chart toppers who are not topping charts any more ( Rod Stewart), but mostly I like to listen to current music….Pitbull, Ke$ha, LMFAO, Flo- Ridah, Lady Gaga, yes I also have Bieber fever and yes I wish he was my boyfriend but at my age I could get arrested so forgetaboutit. I love the music of Train, Katy Perry and yes I do wish Carly Rae would call me, maybe. I am not a fan of acoustic guitar music, elevator music, the music they play in a spa that sounds like whales with indigestion and waves crashing over them while seagulls swarm. I also detest don’t particularly care for Irish Music, the one you find on a PBS special sung by only beautiful blue eyed blonde lads and lassies singing about strife and hunger and a hard life that they have never even close to known. I will leave the room or threaten to jump from the moving vehicle if it is playing so be warned. I love lively music, flash , color, strobe lights etc. It doesn’t have to make sense , it just has to be catchy with a good beat. My daughter recently made me an iTunes playlist titled car dance tunes it’s the kind of songs that get you moving in the car so you don’t care who sees you in the next car – you just can’t stop well you know – car dancing. Good times. May your days be filled with whatever music makes you happy.